Giles County’s Science, Technology, Engineering and Math (STEM) coordinator Christina Martin presented an invited talk at the U.S. Department of Transportation’s Academic Workshop in Tampa, FL, on March 27 and 28. The purpose of the workshop was to gather more than 100 university, community college and high school educators, state and federal government officials, and private industry representatives from around the country, to discuss how STEM education programs can best prepare students for college success and job opportunities, with a special emphasis on the transportation field. Martin was invited to showcase Giles County’s model Middle School and High School STEM program, including its 14 current after school programs in all five County schools, the annual spring “STEMposium!,” and the STEM summer camp. The Department of Transportation supported all of Martin’s expenses for participating in the workshop. 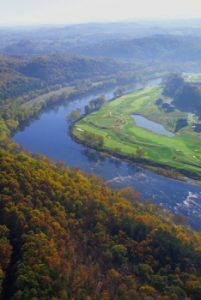 Part of Giles County’s STEM program received initial support from the Department of Transportation through a small business contract with NanoSonic in Pembroke and Leidos Inc. in Blacksburg. STEM lesson plans developed through that program are available for free online at NanoSonic’s “Education” webpage (https://nanosonic.com/education/). Martin and other Giles County teachers Diana Blanton at Giles High School, Margy Journell at Eastern Elementary and Middle School, and Gail Austin at Macy McClaugherty Elementary and Middle School developed the lesson plans in cooperation with NanoSonic and Leidos engineers. 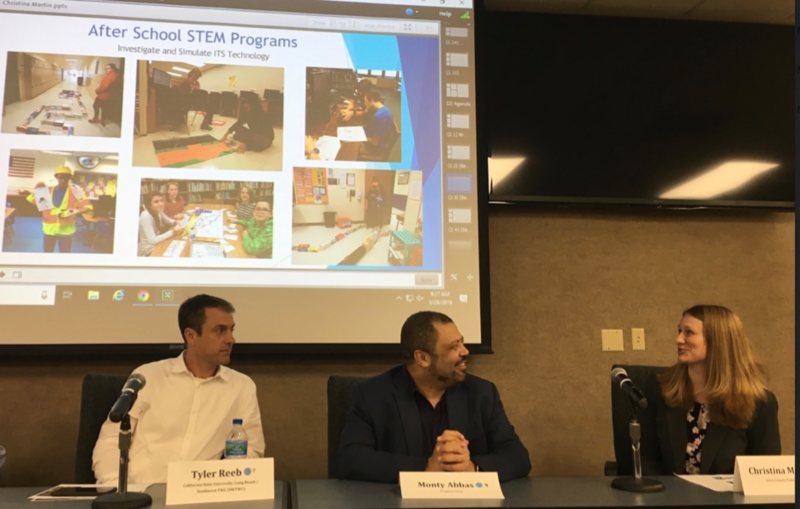 Other Giles County teachers including Donna Ralph and Sarah McGlothlin from Narrows Elementary and Josh Sparks and Henry Buchanan from Narrows High School have been integral in the STEM program and facilitating the lesson plans that were developed since the program began in 2015. More than 500 Giles County students have been involved in the County-wide after-school and summer STEM programs, and more than 600 students, parents, School Board members and community members attended the 2018 Spring STEMposium! Twenty-four regional companies and organizations exhibited their technologies at the STEMposium! through hands-on, interactive demonstrations. The 2019 STEMposium! is scheduled for 6 to 8PM on Wednesday April 24 at Giles High School in Pearisburg. Highlights will include two driving simulators provided by the Virginia Department of Transportation (VDOT) in Richmond, 3D Printing, and a student robotics showcase. Giles County STEM Coordinator Christina Martin (far right) highlights Giles County’s Middle School and High School STEM Programs in front of an audience of 100 at the U.S. Department of Transportation Academic Workshop in Tampa, Florida. Dr. Tyler Reeb (left) from the California State University, Long Beach, CA, and Dr. Montasir Abbas (center) from the Department of Civil and Environmental Engineering at Virginia Tech, look on.